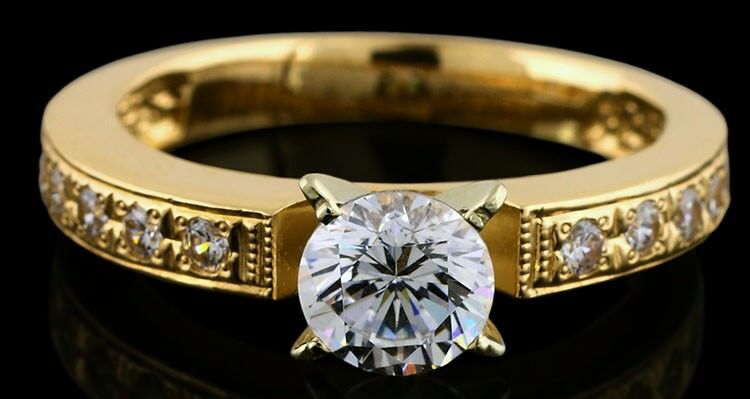 Solitaire diamond engagement ring with semi-channel set diamonds in yellow gold. 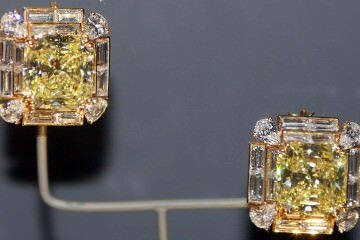 The yellow gold cancels out some of the yellow color in a diamond.. When purchasing an engagement ring, insurance is probably the last thing on your mind. You’re likely more worried about whether she’ll say yes, and what your wedding plans are going to be if she does. Of course, looking at the dollar sign attached to that engagement ring, you probably are more than aware of the value of your diamond ring. In which case you should be able to appreciate the value of an insurance policy for your engagement ring. You can actually get this same type of insurance for your other jewelry as well. And it’s easier than you might think. If you live in a house, you probably have a homeowner’s insurance policy. If you are a renter, you may have renter’s insurance. 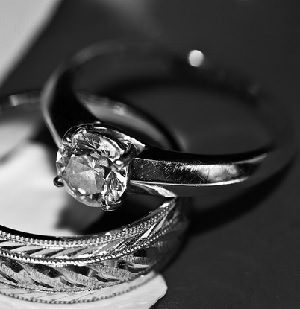 If you have either, you can get a policy to cover your engagement ring and other precious jewelry in your household. How? Ring insurance or jewelry insurance is available in the form of ‘rider’ which is just a fancy word for an extension. It is part of your homeowner’s or renter’s insurance policy which is optional. 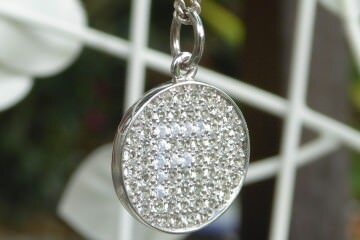 It will tack on some money to your monthly premium, but will help you to cover jewelry up to a certain cost. You can also go a different direction and purchase insurance for an engagement ring through a company which specifically offers this type of insurance. 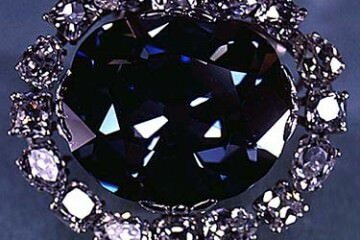 There are insurance companies which specialize in nothing but jewelry coverage. There are a couple of benefits to going this route. Firstly, if you do not have another policy, you can get this type of insurance without covering a home or apartment. Secondly, the coverage offered by these companies may be more complete than a simple rider. There are many different types of plans available for covering different levels of financial value. You can get a policy that will cover jewelry that costs a few hundred dollars, or a few thousand dollars. When you go to talk to your insurance company (or potential insurance company), bring receipts for all jewelry purchases with you along with appraisals on your pieces. If your insurance will only cover the purchase of a replacement ring it is very important to get a correct appraisal. 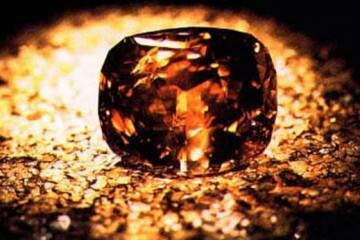 In some cases you will buy an engagement ring and the appraisal will state a value that is higher than what you paid. You might think you got a bargain, but often the appraisal is simply inflated to make you feel like you got a bargain. Now, normally this isn’t really a problem, though certainly deceptive. However, if your insurance premiums are based on the appraisal value you will be paying far more than if it was based on the actual value of your ring. In case your insurance comes into play, you’ll get a replacement ring and it certainly won’t be based on the appraisal value of your ring, as the insurance companies are well aware of this appraisal ‘trick’. As one last point to consider, don’t forget about moving your policy with you if the policyholder relocates. If you are purchasing a rider on a homeowner’s insurance policy, and you move, will the policy go with you? Probably not. You need to make sure that you are still covered, or find a new policy to cover the ring after you relocate. Taking extra steps to protect your jewelry may seem like a lot of work and money, but insuring them can be a sound investment. When an engagement ring vanishes down the drain one day or gets stolen, you’ll be glad you did!